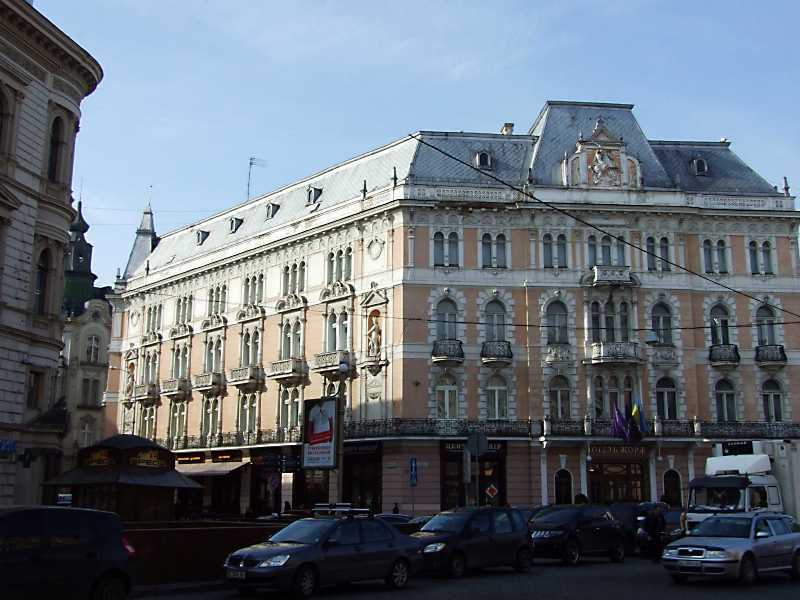 The hotel "George" (Mickiewicz square, 1) had a large auditorium. March 21, 1876 there was performed a play "Three princes on a throne" by Franko; 4 (16) November 1893 – premiere of his play "Stolen Happiness". Old hotel building has not preserved; pictured – a new hotel, built in 1900. In February 1915 there was a meeting of Ivan Franko with the Russian literary E. Shmurlo.